Run For Your Lives is a thrilling apocalyptic zombie infested 5KM run, laced with demanding natural and manmade obstacles. 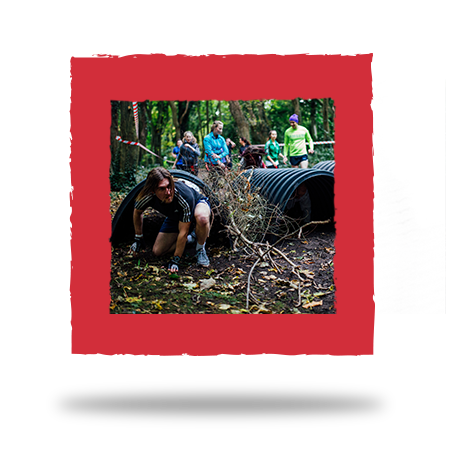 After a successful inaugural event in 2014, we partnered with the Irish Heart Foundation to present Run For Your Lives 2015 with more mud, more zombies and more obstacles. At Outset, we pride ourselves on bringing unique experiences to the market; we wanted to encourage people to get active and felt we could offer an ‘out there’ alternative to the run of the mill fun-runs and mini-marathons. We wanted to create an endurance event that wouldn’t require you to be the fittest person there – the aim was for this event to be as much about fun as it was about being able to complete the 5KM. The idea of a ‘Zombie Infested Run’ was different and shocking enough to be able to cut through the noise of OCR (Obstacle Course Racing) and we knew it would easily attract the attention of our audience. Being experts in social media, we were also confident that we could create epic content around the event theme, that would be bold enough to spark people’s interest. We combine creativity and experience to completely devise, design & produce all of our events – we manage every stage in-house, from concept to completion.